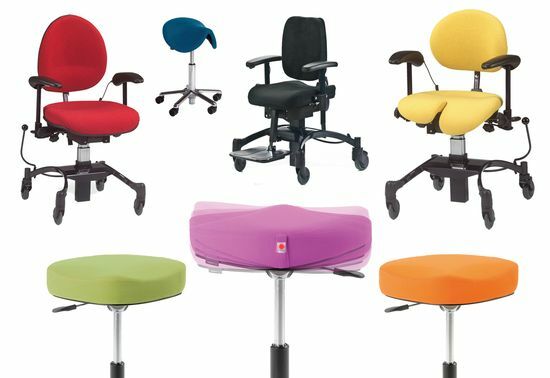 VELA products range from stools and sit-stand chairs to office seating and specialty chairs. They promote safety and activity for adults and children suffering from pain or weakness. VELA chairs may be used at home, school, office or in a rehabilitation center. Wheels that allow for active foot propulsion. Central wheel lock system, accessed electronically or manually for safe entrance or exiting of the seat. Power or manual adjustable height. Anterior tilt in the seat. 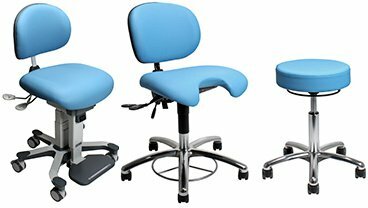 Ergonomic seat and back, which are easy to adjust. 90-degree seat rotation, which can be locked into place. 4-inch wheels developed to run more smoothly than standard wheels. Accessories that allow chairs to be customized to meet any challenge.